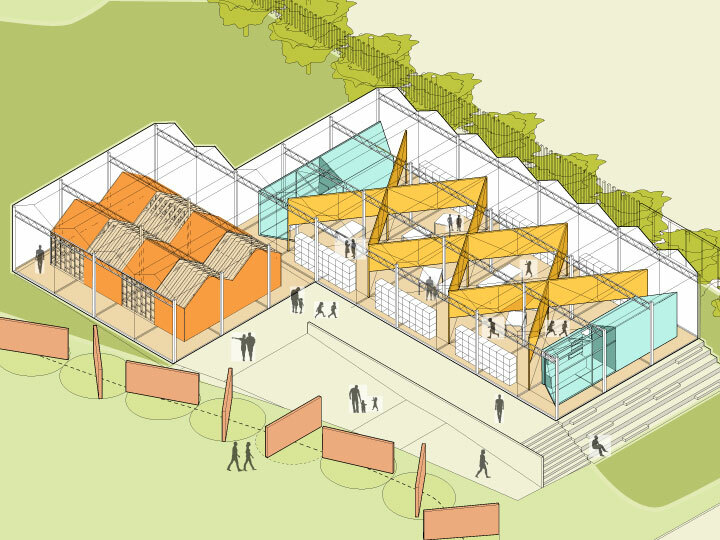 This exhibit is designed to house The UCSD-Earthlab Community Station, making EarthLab an official partner of UCSD, a field-based laboratory, where university climate research and teaching is conducted collaboratively with community partners. 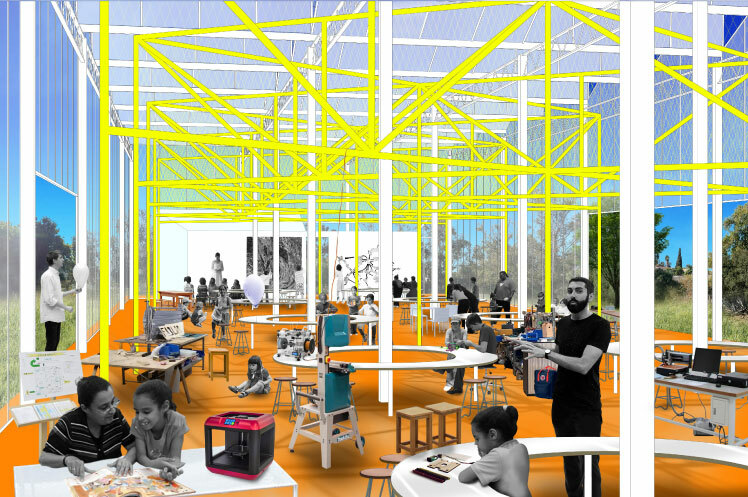 This exhibit takes the shape of an Environmental Design Lab, to demonstrate how underserved communities and major universities can be meaningful partners with knowledge and resources to contribute in the search for solutions to deep social, environmental and economic challenges. After traversing The EarthLab on a given day exploring all outdoor exhibits, this is the main indoor hub for children to convene and engage more specific design oriented experiments, supported by a variety of tools and materials. The station is designed in the shape of an environmental ‘makers lab space,’ equipped with tables, chairs, storages maker-lab fabrication stations. This exhibit occupies a large green-house that has been retrofitted to house interior shaded environments. 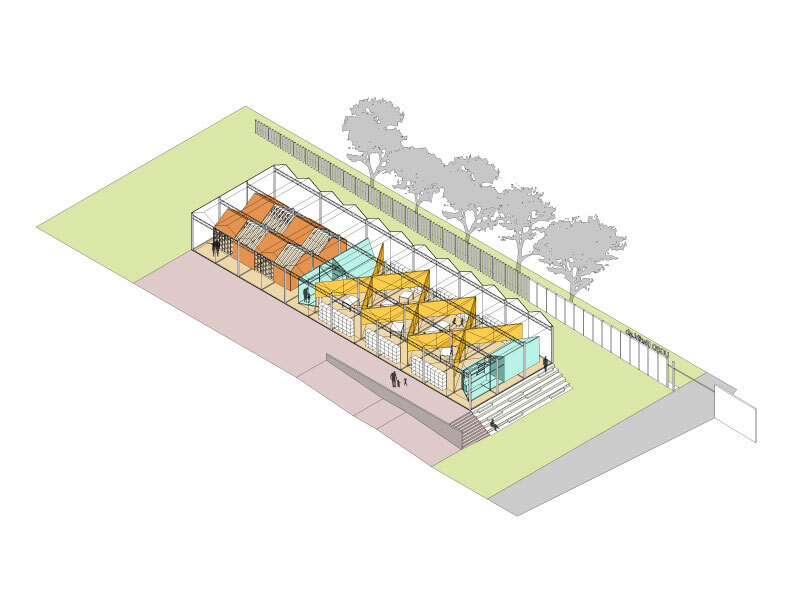 As the UCSD-EarthLab Station faces Euclid Avenue, it becomes EarthLab’s ‘community porch’, a multi-use space for community-based activities and exhibitions, supported by a kitchen incubator, restrooms and gathering spaces.